The Rt Hon Baroness Neville-Jones, the Government Special Representative to Business on Cyber Security and former Security Minister, gave our February lecture, entitled ‘Are We Meeting The Challenge Of Cyber Security?’ on Monday 6th February. Baroness Neville-Jones gave a fascinating and highly instructive presentation, in which she emphasised that national security is central to wealth creation, thus placing the topic of cyber security in a strategic and high stakes environment. She praised the Government’s cyber security strategy, saying that it was well-conceived, but that it was a work in progress. She said that the threat environment was long-range and continuing to grow and that the Government needed to get more speed and momentum behind its implementation to ensure that the public and business were fully aware of the importance of the issue. She said that an operational partnership with the private sector was central to the Government’s approach – it could not do it all by itself, but that it must take the lead. She concluded by saying that the skills base in this country was ‘wholly inadequate’ and it was‘urgent and vital’ to address this deficit. 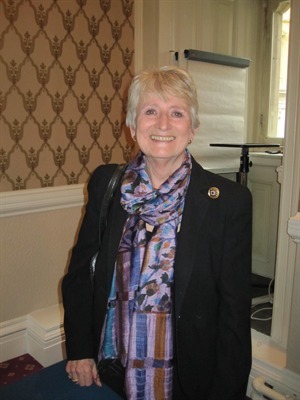 To listen to Baroness Neville-Jones’ lecture, please click here.